The third generation Ford Galaxie (1965-1968) was a full-sized sedan/wagon that occupied the a higher bracket of Ford badged full-size vehicles (just below the LTD.) The Galaxie was visually recognizable by its stacked headlights (a design element that was cascaded down to smaller Fords) and it sold well during its lifespan. 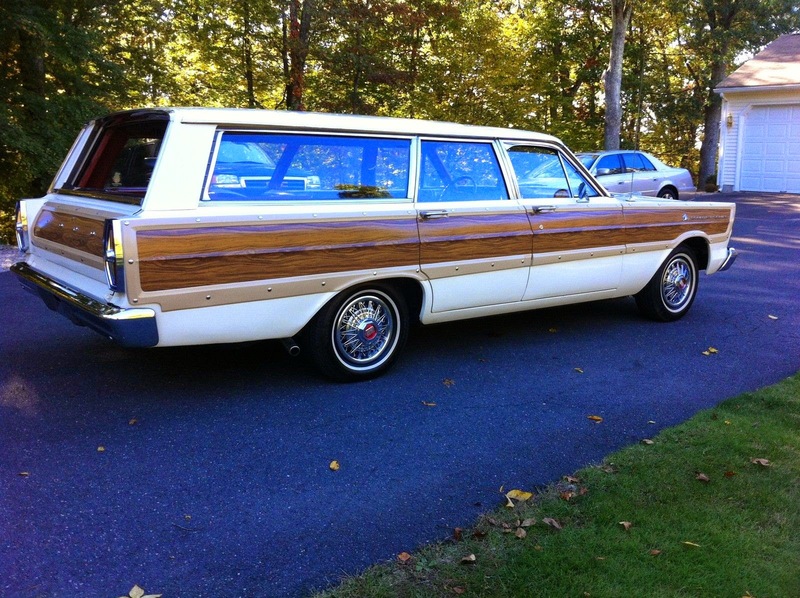 The wagon was badged as the Country Squire when it was covered in fake wood, and this next example looks like a good bang for the buck. 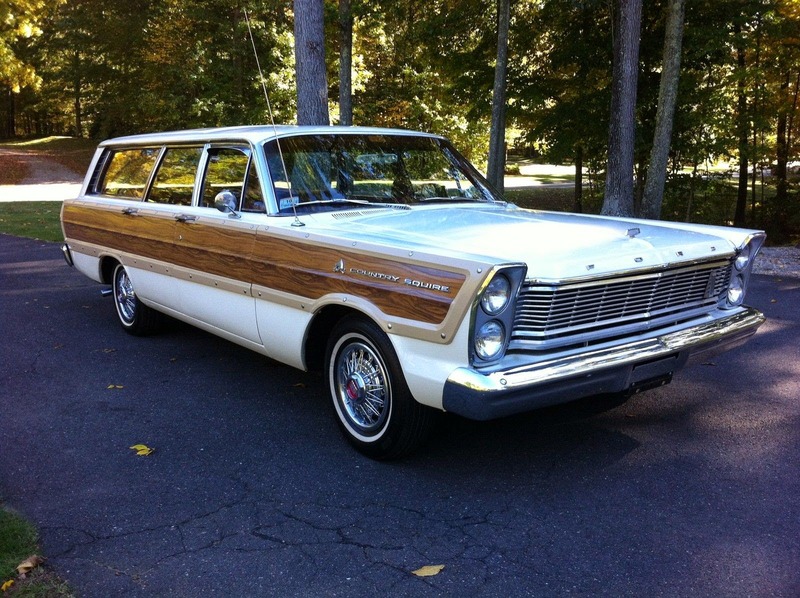 Find this 1965 Ford Galaxie Country Squire Wagon offered here on eBay currently bidding for $7,200 with 1 day to go, located in Coventry, CT. The lawn and leaves on the trees indicates that these pictures are few months old, but it looks like a decent runner in the pictures. 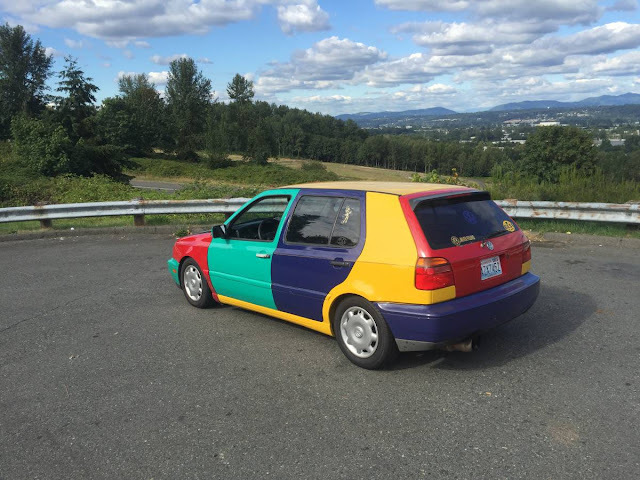 The seller doesn't disclose how long he/she has owned the car, but indicates that the beast is rust free and only needs minor reconditioning (needs a headliner). Power comes from a 302 cubic inch V8, which wouldn't have been available until 1968, so this car has been given a new engine at some point in time. Power in the Windsor V8 would have been around 220 horsepower when new, but all kinds of aftermarket hot rod parts can coax out more power. Nice looking wagon. If it wasn't on the wrong side of the country, I'd be tempted to bid. Another car I'd like to knock off the auto bucket list. This wagon brings back good memories. My uncle had a blue 65 Ford wagon and would always pick me up as a boy to take me and my cousin to the lake where we would meet our relatives. My uncle's car just had a front bench seat. I sure wish I had the garage space and funds were in line to get this. It would make a great tow vehicle after adding some disc brakes and trans cooler. The engine appears to be a 289, not a 302. In high school I had a 66 Fairlane 289 wagon. I now have an 84 Audi 5000 Avant and an 1800ES. Yep, I like long roofs. Ohh, and how much would you bet that you need to pull up on the automatic shifter to engage the neutral safety switch to allow the starter to crank? Our entire fleet of ;65 Ford police cars had that problem back in my rookie year. I think those are the same shifters that, would slip from Park to Reverse if you didn't pay attention to getting it well seated into Park. My dad lost a driver's door to the edge of the garage that way on a 1969 Torino, and I lost the bumper of a borrowed F-150 pickup in the late 70s. 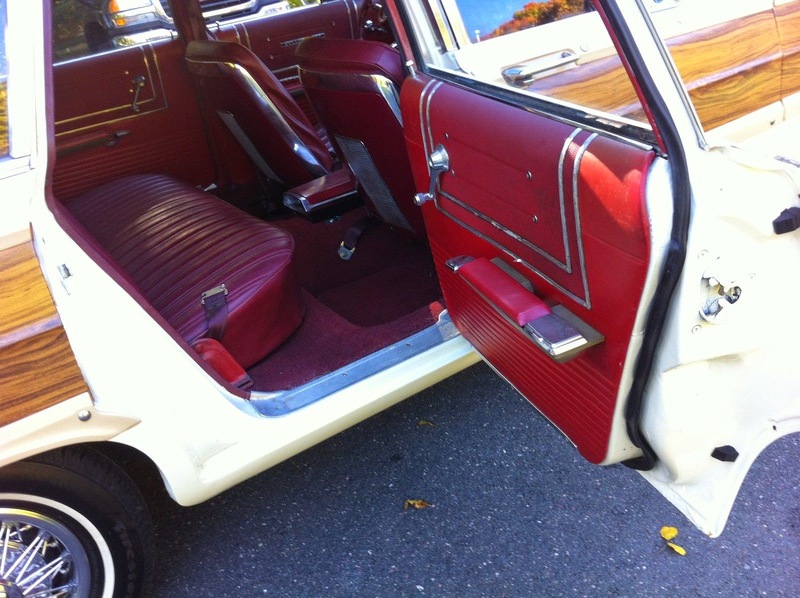 Family had three Country Squires, including a '65. Tailgate rust likely duplicated in doors. Stock wheel covers much better looking. Love wagons. Don't see value in this example but for the woodgrain decals. Ooops that link of a 65 wagon didn't work... Instead see these HUB CAPS as an example. They look great! I like the Bucket seats and console 2 way tailgate yes phony wheel covers need to go 65 Ford is one of the better looking wagons. Every kid who grew up in the sixties can relate. These were the ubiquitous Soccer Mom vans of the era. Sends a shiver down my spine just thinking about the bouffant hairdos driving these things..." No, Mrs.Perry, I was not playing with Mary in the back seat"
This may already have been done (I'm not checking the ad),but if it hasn't, I would upgrade to a dual master cylinder for the brakes. DMC was standard beginning on the '67. My '67, which I foolishly got rid of 20 years ago, did not have shoulder belts standard. The mounting holes were up behind the headliner, and I got a set at a junkyard and made that upgrade. I crossed the country twice in that '67 CS. The eastbound trip was made without power steering. Mine had all-drum brakes, which proved hair-raising in the Cascades.